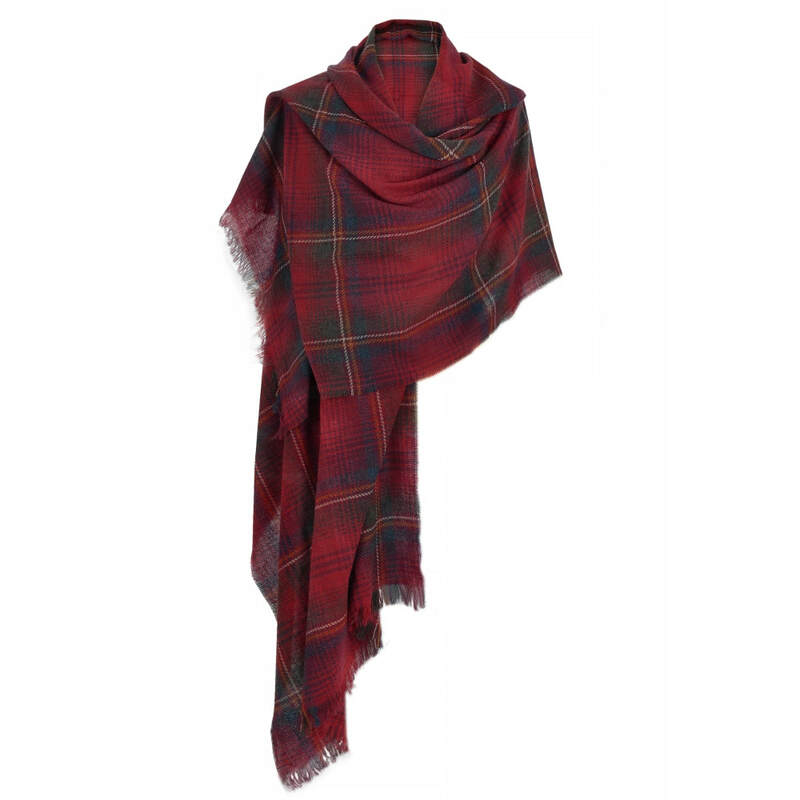 The Duchess of Cambridge was first spotted wearing this luxurious shawl on Christmas Day 2013 while heading to communion with other members of the royal family in Sandringham. 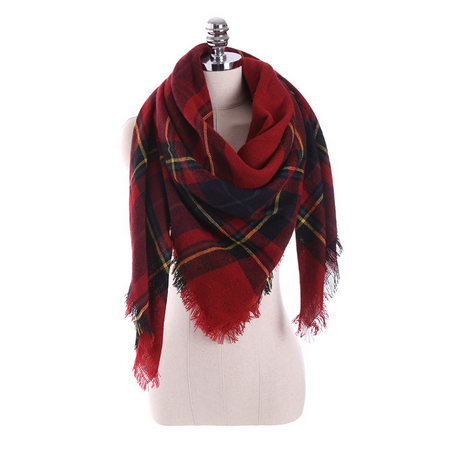 The scarf is made from a cashmere wool blend in a warm tartan consisting of claret red and navy blue checks. 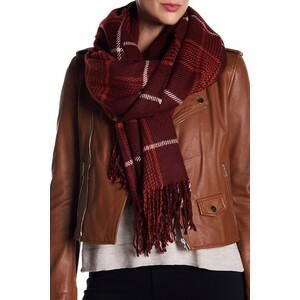 STYLE FILE: Really Wild Claret Red Cashmere Mix Wrap Scarf as seen on Kate Middleton, The Duchess of Cambridge.